Home LIFESTYLE	“END YOUR SUMMER AT “MARTHA’S VINEYARD” ! 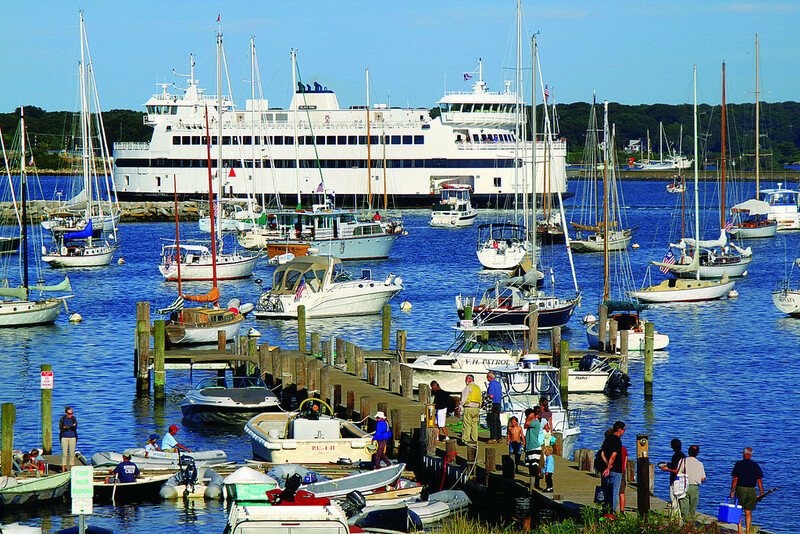 “Martha’s Vineyard” is a perfect island to end your summer rendezvous, for the “Traveler” on a budget. May I suggest the week before Labor Day to be a perfect time. The reason is, so many families have left because of the opening of school. The weather is still perfect and souvenir prices on Tee Shirts, Hats, and any other mementos, have been drastically reduced. Cottage Rentals are cheaper if you choose to come later in the summer season! Here is the Lovely Cottage we stayed in. We rented a cottage with 2 other couples and divided the rent for the week. 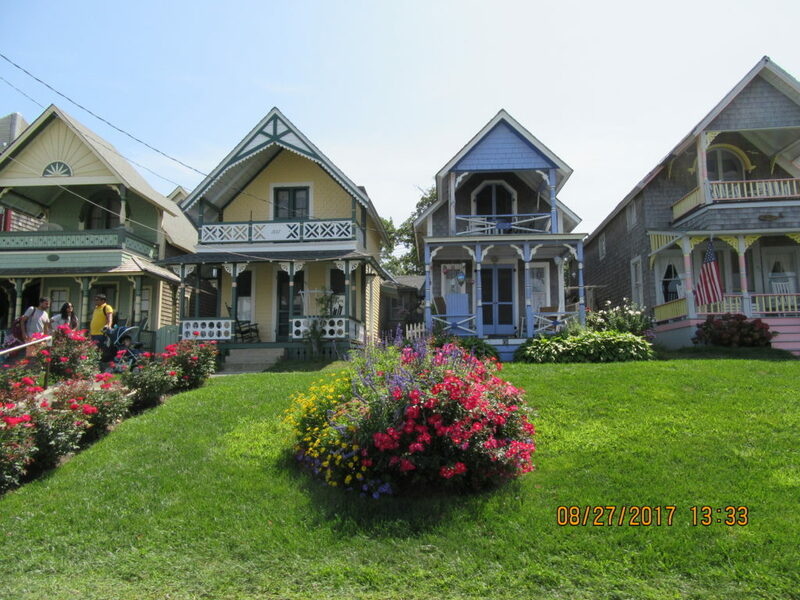 What a lovely cottage for the price and what fun we had relaxing and going on “Martha Vineyard “Tours together as well as dining out and going to the various shops on Circut St in the downtown area of Oak Bluffs. Please remember, Martha’s Vineyard is a place to unwind with great friends and family. It brings people closer together but the experience each and every time you go is one you will never forget. Don’t forget your music playlist. Part of the fun is getting there. Of course, driving is always a convenient way to go. 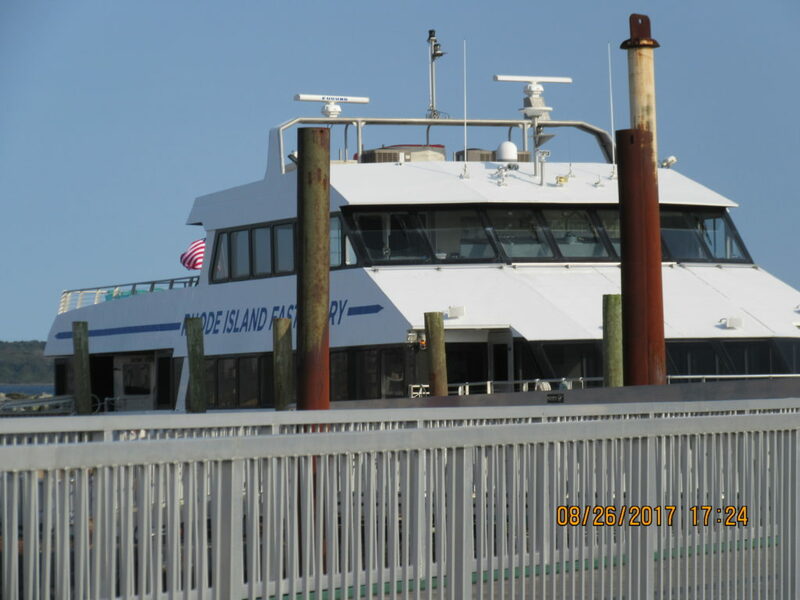 Bringing a car to the Island can be a much-added expense, so make sure you secure your “Ferry” reservation in advance. Parking can be difficult especially if you go into town, the daily parking fees can add up. Make sure you check out parking prices for where you are staying. You can take a “Jet Blue Flight into MVY airport and Uber to where you are lodging or catch an Amtrak Train to Kingston or Providence RI Stations then Uber or Lyft yourself to the Ferry. Once you get off the Ferry, your fun begins. 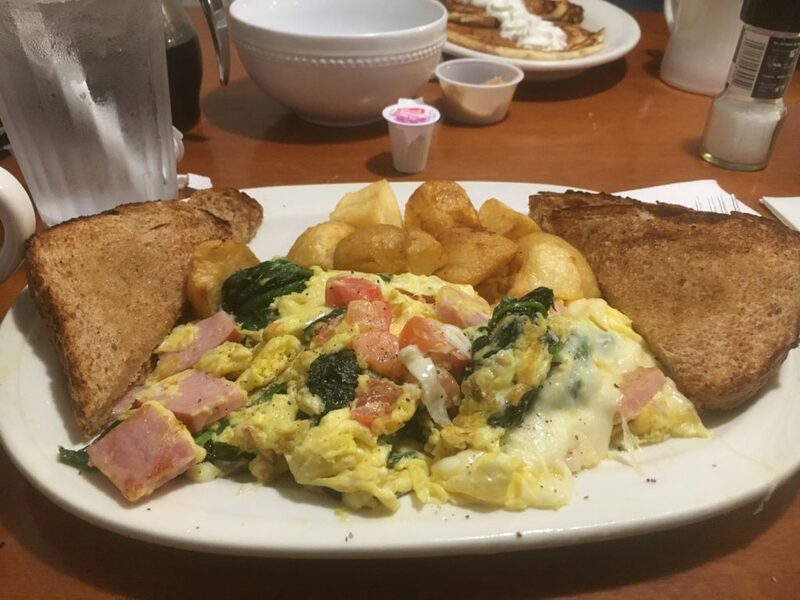 One of the best places to eat breakfast is “Linda Jeans” Restaurant”, located on Circut street in Oak Bluffs, they offer a variety of breakfast food that tastes like Mom’s cooking. Please note, there are no fast food drive thru’s in “Martha Vineyard”. 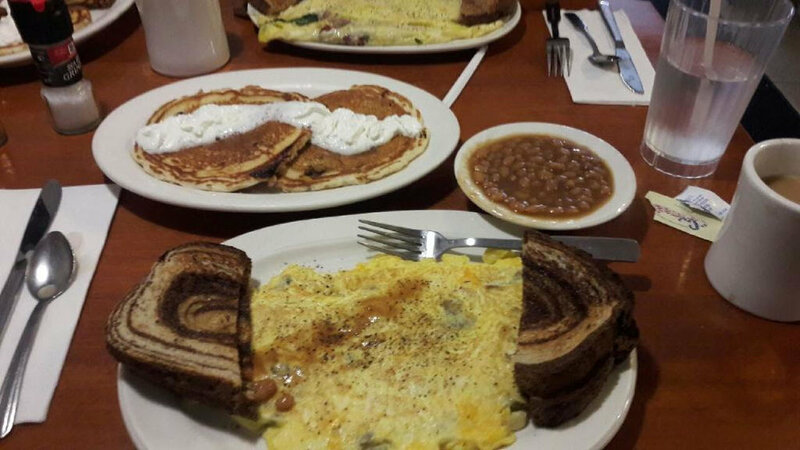 I had the best “Green Eggs and Ham & for the Coffee Connoisseur, their fresh brewed cup of Joe is to die for. There are many restaurants in “Martha’s Vineyard”, I can name a few but, if you are looking for fresh and tasty Thai Food with great atmosphere and courteous staff, check out The Bangkok Cuisine Restuarant. 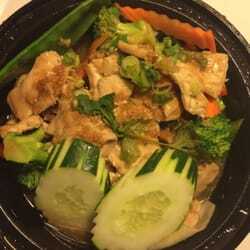 This is the best place to go for their “Bangkok Chicken” and my favorite drink Thai Tea. BANGKOK CHICKEN! 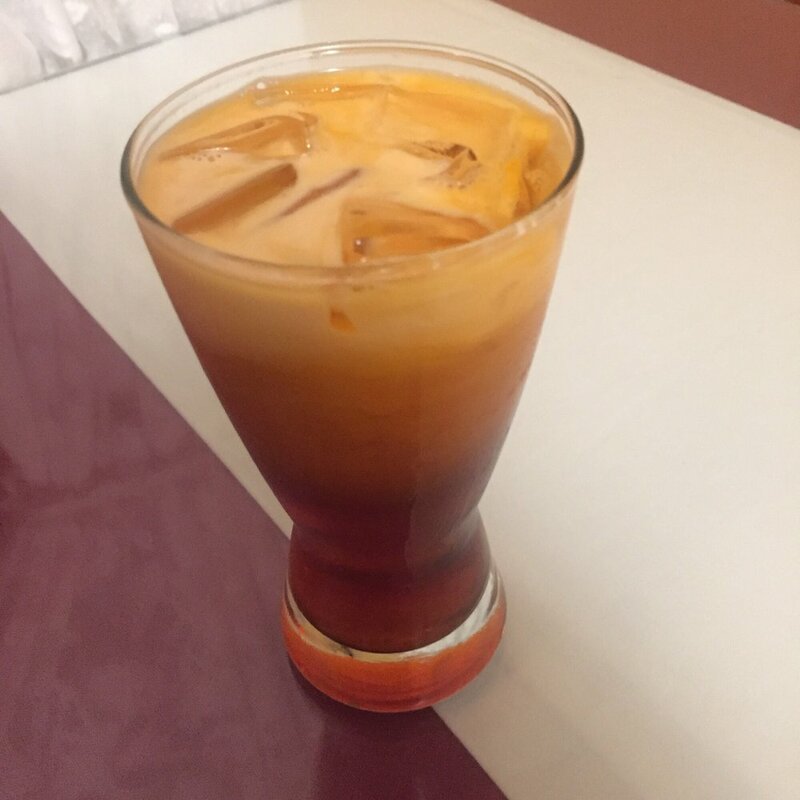 LOVE THEIR THAI TEA! 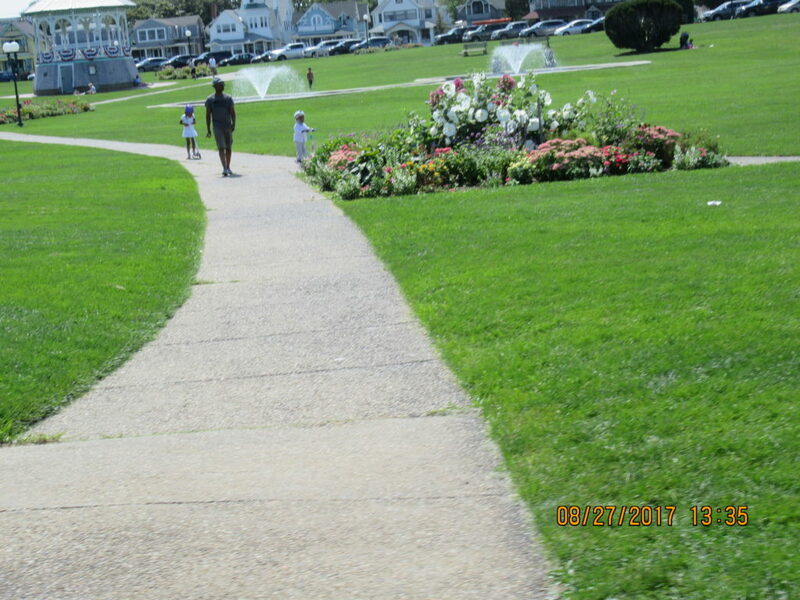 “Martha’s Vineyard” has a lot of beauty, grace, and history, while on tour, many people were surprised to learn there are no Vineyards on the island. So if you are expecting to visit any, just know there are none. “Wines produced from grapes grown on the Chappaquiddick Island and Martha’s Vineyard island can be sold with labels that carry the Martha’s Vineyard AVA designation”. “Martha’s Vineyard was the home to the winemaker Chicama Vineyards in West Tisbury, it closed after 37 years on August 10, 2008”. Here is where you pick up the bus for the Historical sightseeing tours. 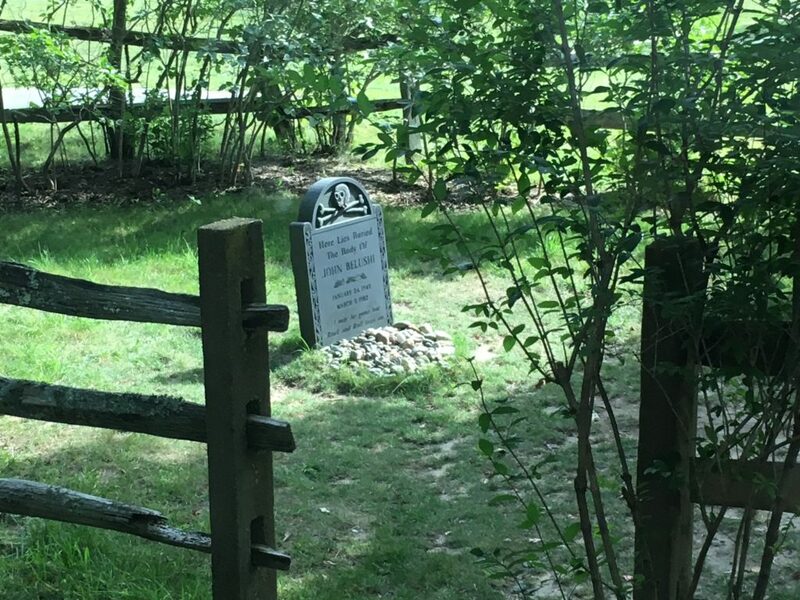 Some of what we learned on the “Martha’s Vineyard” Tour is: “Jaws” was Filmed in MV and John Belushi is buried there because of his love for the island. The Movie “The Inkwell was filmed here with Larenz Tate! Unfortunately, when you’re having a good time, it goes by fast. 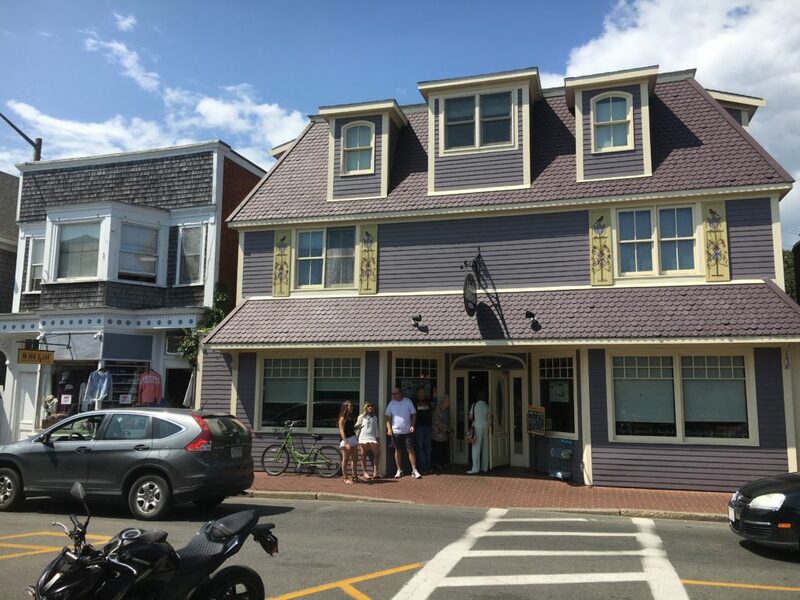 Every time we come to Martha’s Vineyard it’s an adventure, there is always something to do, something new to eat and places to go especially the Beaches. So, the next time you’re here make it a fun-filled trip with friends and family!